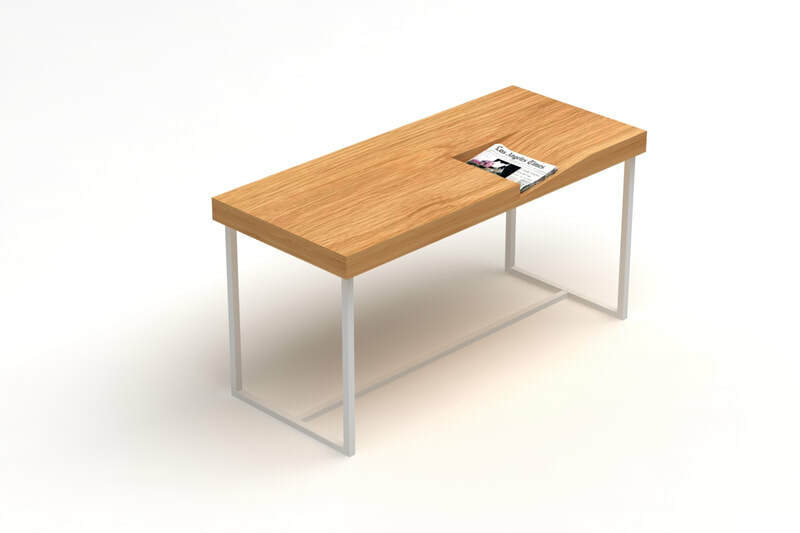 The insipiration for the design came everyday contact with messy table surfaces full of magazines in homes and in public spaces: bars, waiting rooms etc. 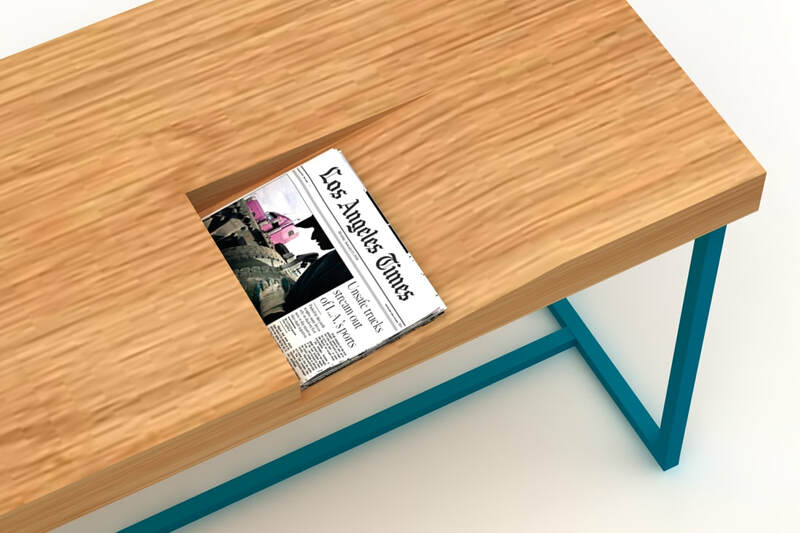 We wanted to do a minimal intervention on a table top, but with the function of a "magazine gap" solving a organisational problem for the table surface. 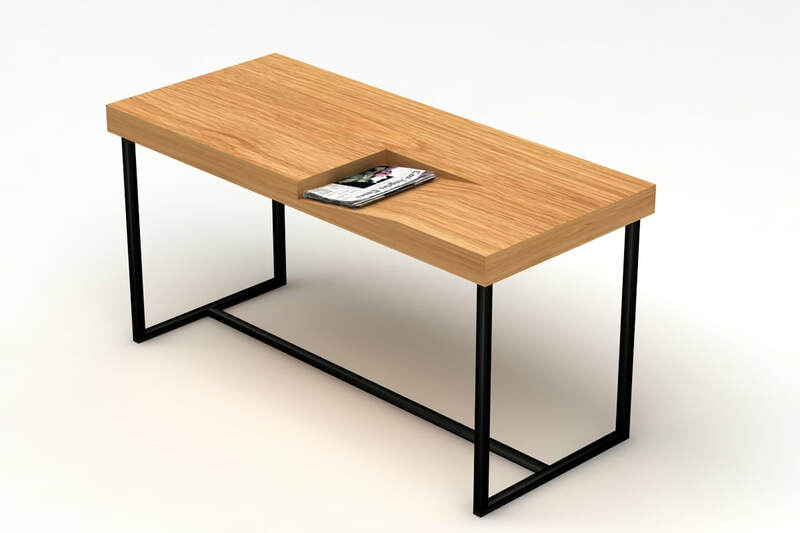 Elegant and modern, 8 degrees revives the ritual of reading paper magazines and newspapers and is suitable for commerical and private interiors.The table top surface is used as a storage for newspapers, notes or any kind of papers that are usually all around the surface.The table top is made out of birch and oak veneered chipboard,the legs come in different colors: aluminium,white,black or bronze. 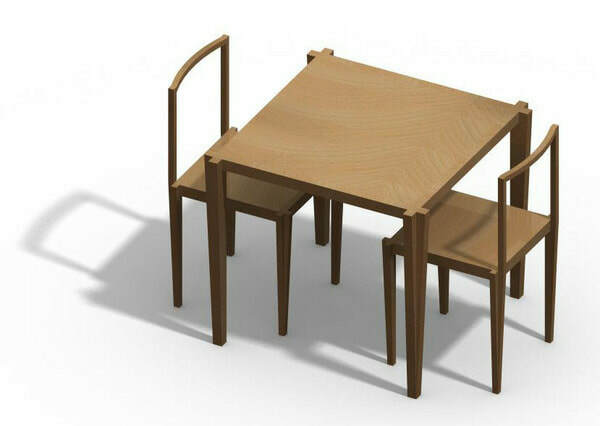 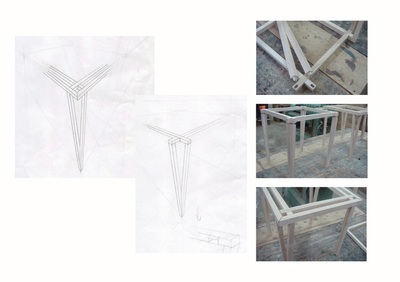 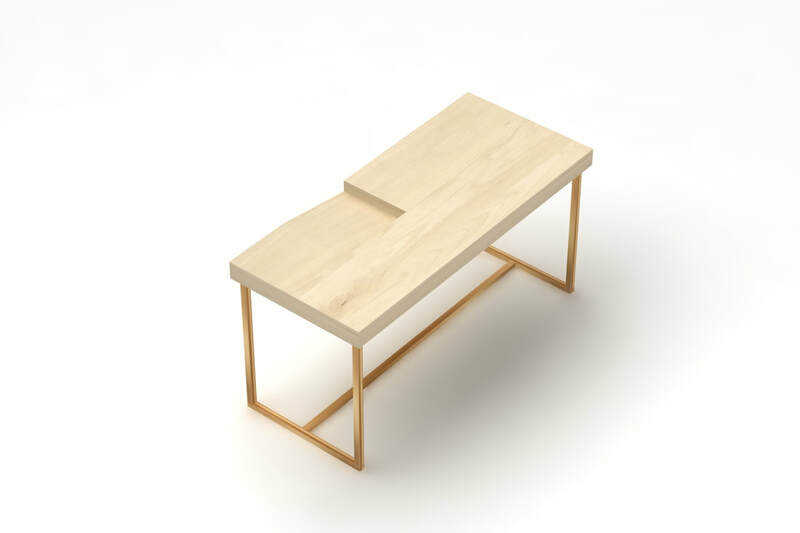 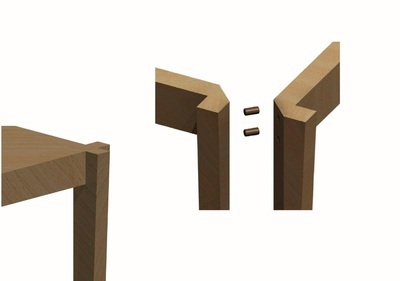 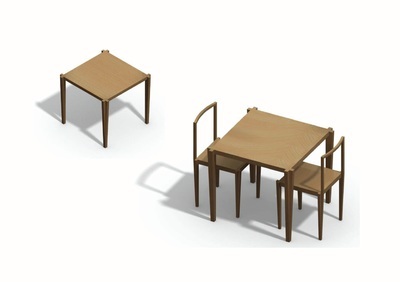 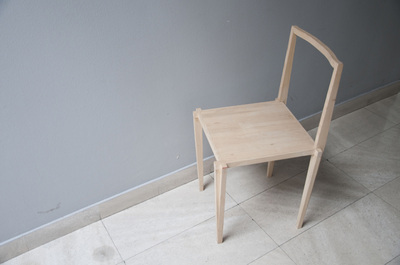 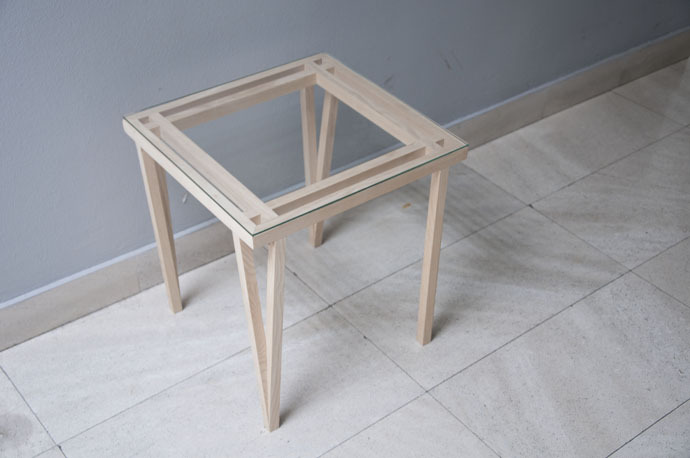 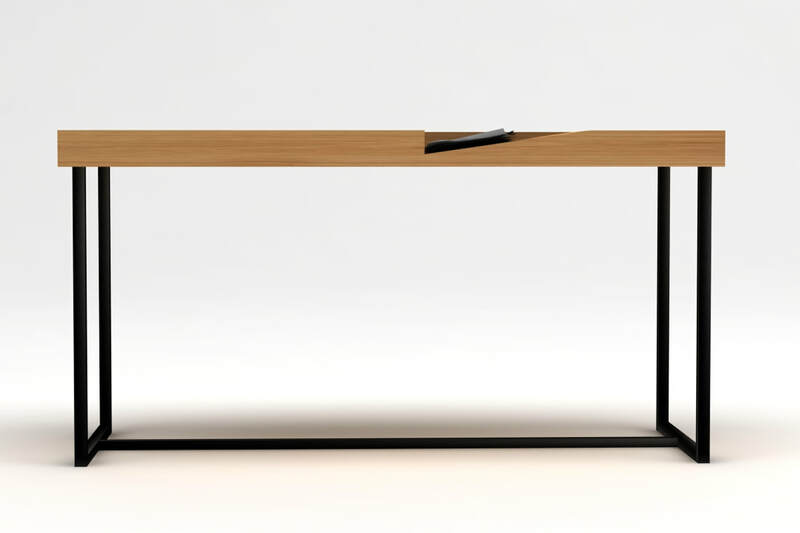 The table construction is designed to be assembled by the customer and it shipped in a flat pack. 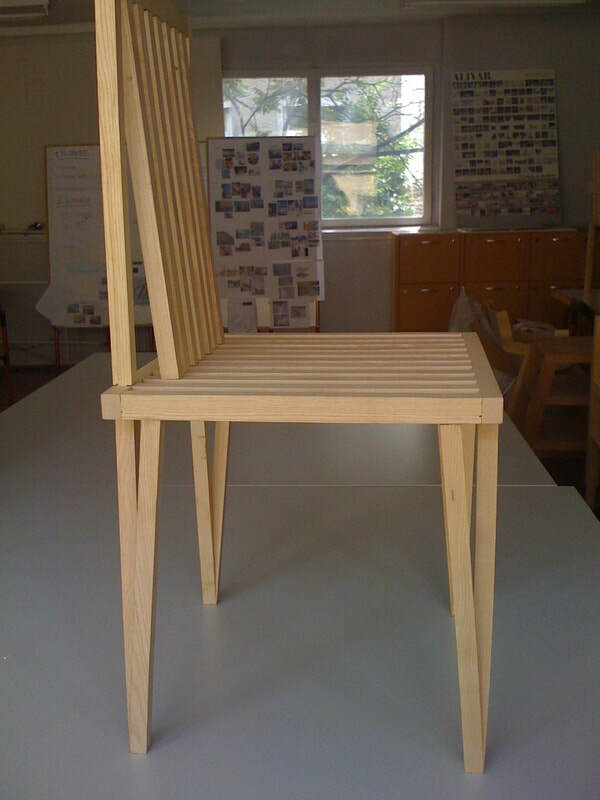 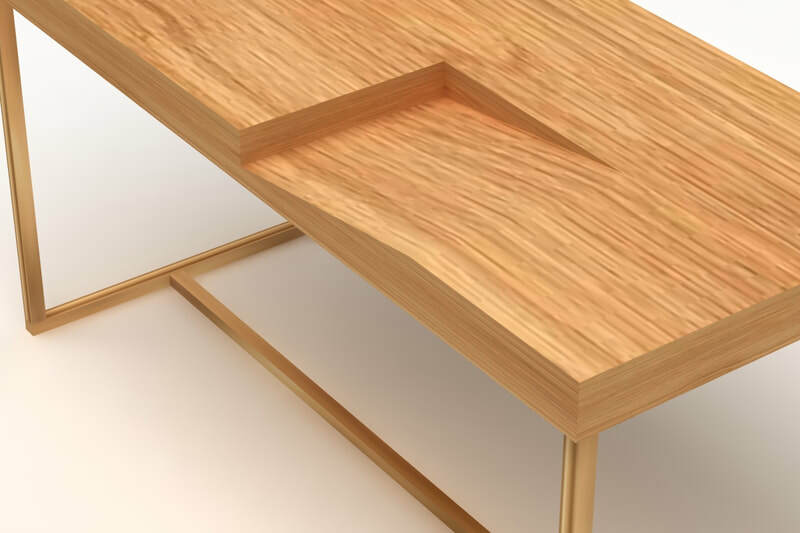 When using wood as a material for furniture, there are support systems needed in form of crossbars necessary for its stability. Trying to clear furniture from crossbars, we came to a construction made with no classic legs coming from the corners, but combining two bars coming from two planes into one center, making the construction strong in the diagonal and the furniture free of construction extras that are hidden underneath the surface. 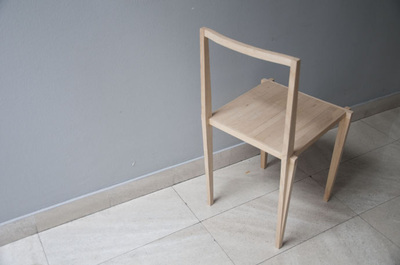 The prototypes were made out of maple wood with a 20mm profile and were strong enough to be used in the household. The final products are a variety of chairs and tables made out of massive wood, with the same stable construction avoiding crossbars and classical corners. Ambienta international furniture fair, Zagreb, Croatia 2011.